DSMA Blue Fridays: Forget black and yellow. Here’s blue and black. It’s a body hugging blue-and-black striped number. Soft material, ultra comfy and not my style at all but here it is anyways! Every Friday we wear blue to support those affected by diabetes. 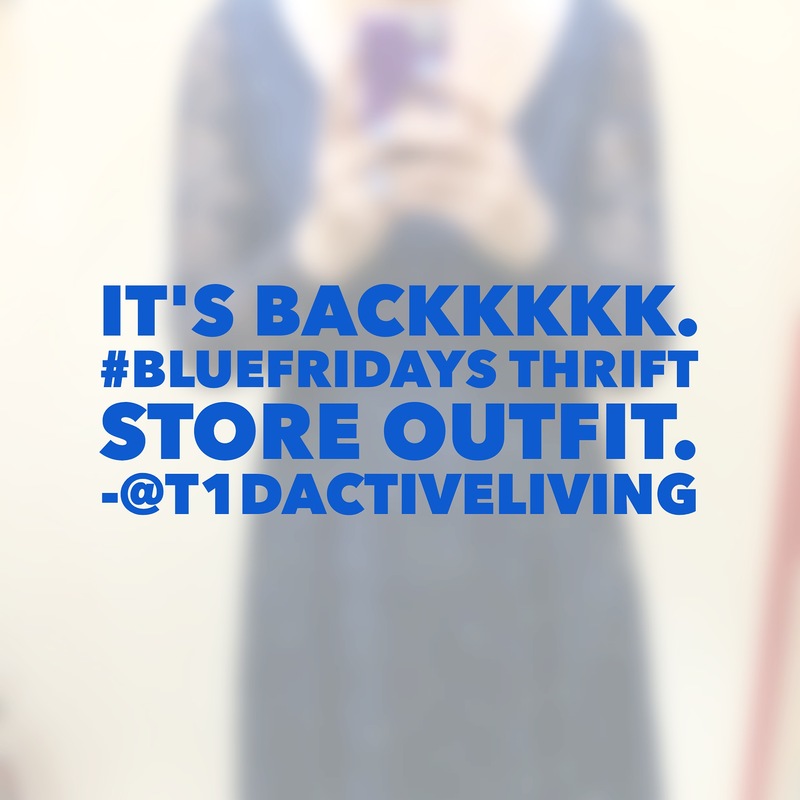 Read more about the Blue Fridays initiative here. Next time you are thinking about what to wear to kick off the weekend, consider being a #BlueFridays ambassador of fashion!